I’m in a serious, long term, committed relationship with my sport, to the exclusion of all others. (Well, those who don’t mind being second to sport and woken between 4-5am every day are welcome to apply….. Ok yeah, that still pretty much excludes all others). Well, I think I have the run under control. Maybe the nutrition. I have not been for a swim (as in, swim laps) since school. At least my old swimmers still fit. 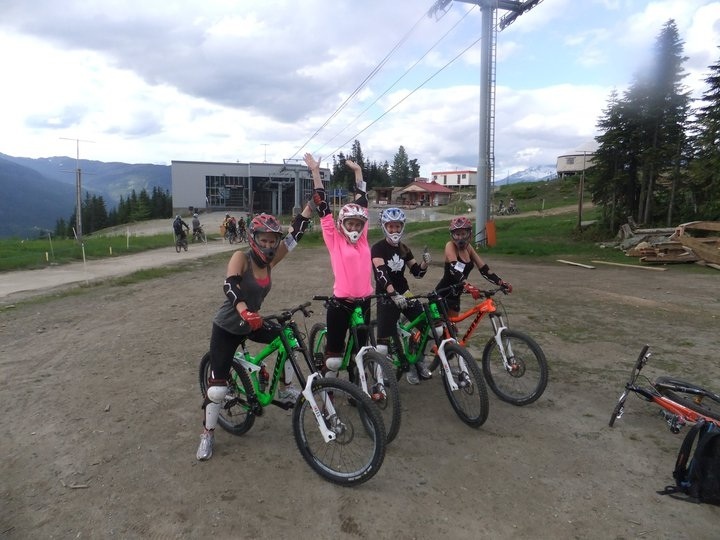 And as for the last time I rode a bike…. …Well lets just say that I may or may not have cried that day, because I was so scared. Am I crazy? I don’t doubt it. But I am told that it is equally as rewarding as it is expensive, And the people you will meet will make it all worth it. Well I believe that, as I have already met some great people, and I have not even started yet. If tri could introduce me to even a fraction of the awesome people I have met in what I call the runiverse, or the runners world, it will all be worth it. 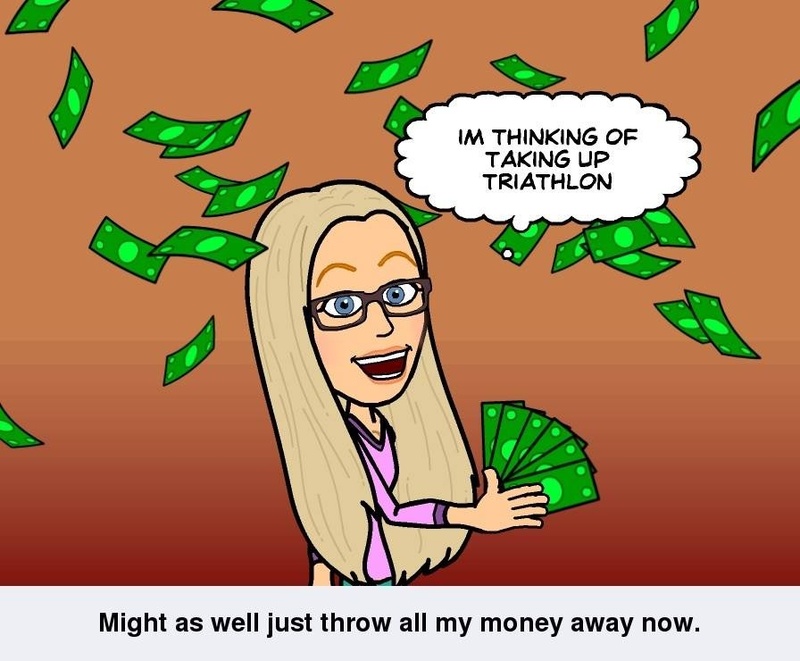 I am ready for the money pit that is triathlon. First things first, I need a bike. as I am toying with the idea of doing a half ironman in 7 weeks time, I had better decide soon. 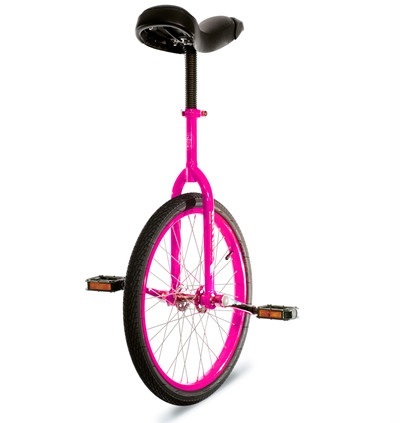 I have been told that I am not allowed to buy a bike just because it’s pink. This is a fair call. When It comes to my ability to make triathlon-related decisions, apparently I am a little bit handicapped. Ok, I have not got a clue. I’m going for it. It may be a disaster, but I’m prepared for that, and I’m going to jump straight in the deep end. Sink or swim. I mean, sink or swim, bike, run! Thanks, I have a feeling im going to need a lot of well wishes for this one! 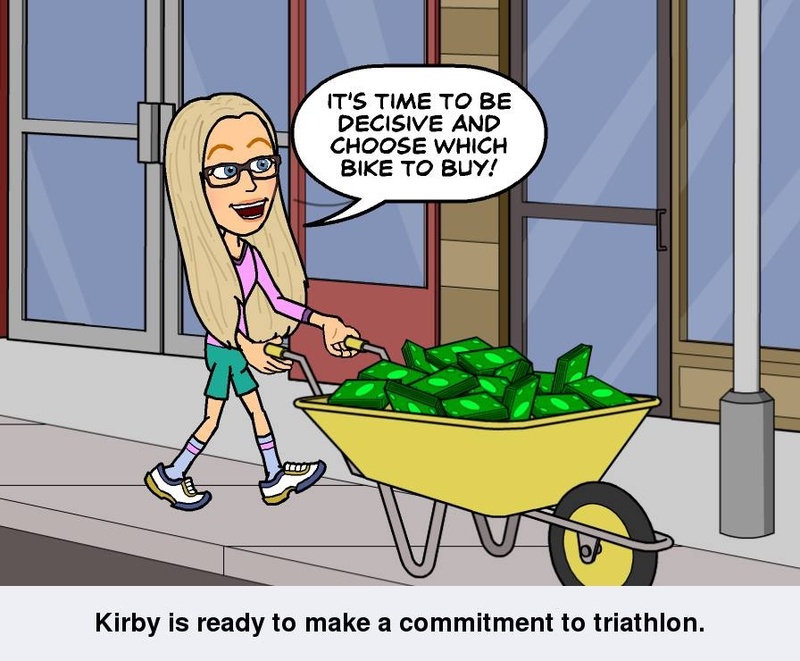 Go for it Kirby, you’ll love it, make sure you get your bike fitted properly, it makes a huge difference for comfort and speed. You will be great !! I love your positive attitude and determination ! !